Home Health How long are you going to live? Life expectancy is rising globally - people born in 2016 will on average live seven years longer than those born 25 years ago. 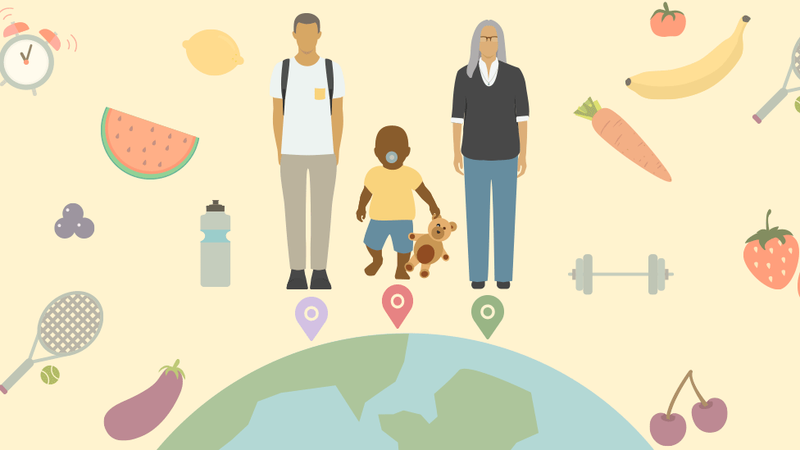 Enter your information below to find the life expectancy for people of your age, country and gender, as well as the proportion of your life you can on average expect to be healthy. Why does life expectancy change based on your age? Life expectancy is the number of years on average a person is expected to live based on their age, gender and country. The Global Burden of Disease calculates life expectancy by using a country's mortality rates across age groups. Life expectancy may vary for people of different ages because it is calculated as the number of years a person is expected to live given they have already reached a certain age. For example, a girl born in 2016 in Mexico is expected to live to age 79, however the life expectancy of a 65-year-old woman in Mexico in 2016 is 84. Her life expectancy is higher because she has already reached 65 and is therefore more likely to live another 20 years. The values for life expectancy in the calculator are rounded to the nearest year after adding the age input to the remaining life expectancy for the relevant age group. In most cases age groups span five years, for example from ages 10 to 14. 'How much of your remaining life will be healthy' is calculated from the number of years a person can expect to live in good health, taking into account disability. This is displayed as a percentage of their remaining life expectancy. Results assume that rates of death and disability remain constant over the remainder of a person's life, so do not account for any expected scientific advances and improvements in medical treatments.